When Trinseo says “global standard, local production,” we mean it. 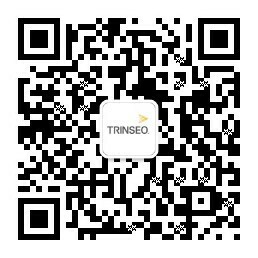 So when a customer in Europe writes about Trinseo products made in China being on a par with Trinseo products made in Europe, it is indeed what we have always expected. It took two years for Trinseo to expand our then latex-only manufacturing facilities in Zhangjiagang (ZJG) to include an ABS plant. The project was completed with zero injuries, zero spills, and zero safety incidents for over 1.4 million safety hours. The unveiling ceremony was held in November 2017, sharing the very special moment with government officials, neighbor companies, major project contractors, Trinseo overseas, and local employees. Trinseo has a long-standing legacy of unrivaled customer relationships with the world’s leading companies, based on our technical know-how and dedication to help them meet any challenge. Building on more than seven decades of manufacturing, commercial, and technological expertise, we are passionately focused on delivering high performance products and innovative thinking to our customers. During a recent meeting with the customer MITRAS Materials GmbH, Luc Bosiers, Senior Development Specialist, Trinseo Plastics Europe TS&D came to know that MITRAS was very happy with the quality of MAGNUM™ 3904 imported from Trinseo ZJG plant, and that they found it to be of equal quality as the material from Trinseo’s Terneuzen plant in the Netherlands. Even when processing on our extrusion lines in production, this batch corresponded to the current quality standard MAGNUM™ 3904 ex Terneuzen. Also the following MAGNUM™ 3904 ex China deliveries showed the same good quality,” said Eger Dirk, Produkttechnik – Development Manager of MITRAS Materials GmbH, one of the leading specialty sheet extrusion companies in Europe with more than 60 years of experience. “The positive message makes all the hard work worthwhile. This substantiates our aspiration of ‘Proudly Made in China’. I’d like to thank all parties involved in introducing the ZJG products to other parts of the world,’ remarked Luke Lee, Site Leader, Trinseo Polymers (Zhangjiagang). The above is just another story that keeps all of us working very hard and going home cheerful, on a day-to-day basis, knowing that we are making our customers happy and accomplishing goals we set for ourselves in the Trinseo family. When Trinseo says “global standard, local production”, we mean it.